Live streaming is all the rage these days and there are a variety of services, like Twitch, YouTube Gaming, and Smashcast, that allow gamers to watch others or show off their own gaming skills to others. Microsoft has been working on their own service, originally called "Beam," that's gotten a major overhaul along with a new name. Now called "Mixer," four gamers can pool their streams together into one broadcast (dubbed "co-streaming") for some co-op friendly streaming. The major appeal of Mixer over the other services is the low latency in the broadcast. 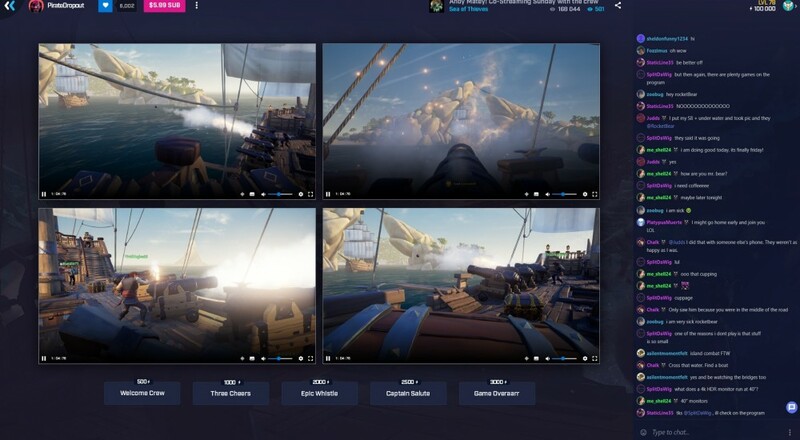 Rather than the 10 or 20 second delay between seeing the streamer and what the streamer is actually doing, Mixer offers more of a "live" experience. The service is automatically built into the Xbox One, and Windows 10 (as of the recent Windows 10 Creators Update) and can be accessed from the "Game Bar" once you launch a game on the PC. We'll be giving it a test run for our own regular Monday night streams starting soon so you all can let us know what you think about the new hotness. Page created in 0.6358 seconds.